Did you know that the President of Bostwana has never been married before? Outgoing Botswana president Ian Khama has said he will be looking for a beautiful wife after April 1, 2018, local media reported Wednesday. In 1992, Mr Khama was engaged to Dr Nomsa Mbere, who is renowned for her charity work and for several years served as the president of the Botswana Red Cross. President Khama later confirmed he was not engaged to Ms Mbere anymore, however, he has never been linked to any other woman apart from her. The Mmegionline newspaper quoted President Khama making the announcement during his farewell tour. President Khama, 64, has been in power since 2008 and will be replaced in March 31 by his deputy president Mokgweetsi Masisi. 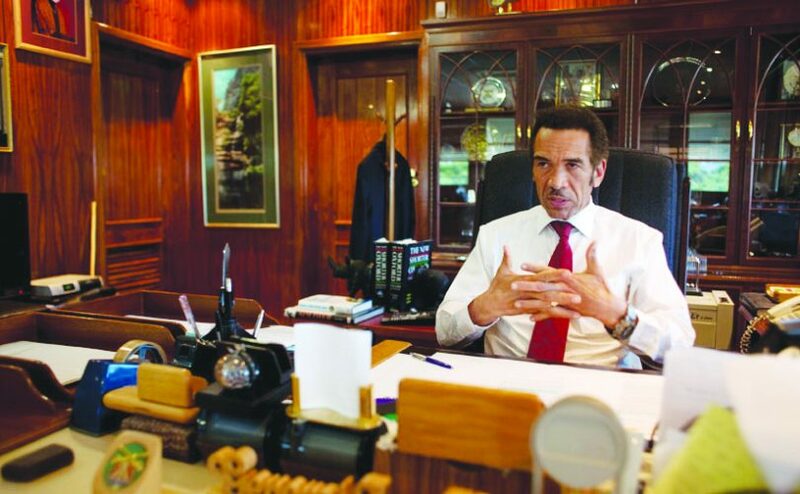 Mr Khama is the fourth president of Botswana since the country’s independence from Britain in 1966. In December 2010, he announced that he was finally ready to get married but made it clear that overweight women need not apply. He said his top requirement for a future wife is that she needs to be tall, slim and beautiful – in a country known for short, heavy set women. The president’s status as a bachelor has been of general national concern. Khama, elected in 2009, is not only president, he’s also the chief of the Bamangwato people, Botswana’s largest ethnic group. Marriage is a requirement of tribal tradition, something that Khama, so far, has defied. Khama however says he’s been too busy running the country to find a wife, and has dispatched presidential aides to find a suitable mate.